I had a very sobering conversation about science communication with an eminent climate scientist at MIT yesterday, and it got me thinking about the incident that first prompted my interest in writing science for a wide audience. 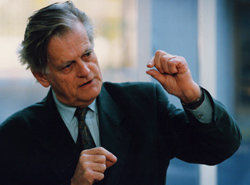 In the late 1990s, I had just returned from a postdoctoral research position at the University of Aarhus in Denmark, and was embarking on a similar stint at Trinity College Dublin. After all that training, I had the smug feeling that I was finally evolving into a scientist; and right at that moment, a scientific ‘controversy’ broke in the British and Irish media. A distinguished Irish engineer, Dr Al Kelly , published a number of papers that claimed to show that Einstein’s special theory of relativity (SR) was fundamentally unsound, work that received a great deal of media attention. I was intrigued by the story and set about getting my hands on the publications. The first surprise was that the papers were not published in a well-known peer reviewed journal, but in the monthly Journal of the Institute of Irish Engineers. This is a respectable magazine (now known as The Engineers Journal), but not a natural forum for technical papers on fundamental physics – yet the work had already received far more media attention than any other physics research in Ireland. [Dr Kelly himself complained publicly that the more established journals refused to consider his papers on special relativity on point of principle! A great many journals do in fact refuse to consider papers on SR, simply because the subject is such a favourite target of cranks and skeptics with little scientific training]. The second surprise was that, on reading the Kelly papers, it seemed to me that the author did not have a good understanding of the basic theory of SR (for example, his definition of an inertial frame seemed strange). In addition, there was no reference to the vast amount of experimental evidence supporting the key predictions of SR – time dilation, mass increase and the universality of the speed of light in vacuum (routinely observed in particle accelerators around the world). Instead, the author attempted a refutation of SR on the basis of the Sagnac effect, a complicated effect that pertains to rotating bodies. Now, an effect concerning rotating bodies is not where one would normally start with a refutation of special relativity, because a rotating body is accelerating while SR pertains to inertial frames i.e. frames moving at constant velocity relative to one another. An additional problem is that the two light beams do not in fact travel the same distance relative to an observer in the centre of the frame (see reference above). A proper relativistic treatment of the Sagnac effect is quite complicated, and involves terms from General Relativity, the theory of relativity that deals with accelerating bodies. Most importantly of all, relativistic effects do not show up as first- or second-order effects in the Sagnac effect, making it an unsuitable effect for experimental tests of relativity. It was not the work itself that shocked me. Any physicist regularly receives refutations of SR in the post, ranging from the completely crazy to the highly aggressive. What shocked me was the media reaction to Kelly’s work; the story immediately became a media ‘controversy’, with feature articles in The Irish Times (Ireland’ s paper of record), the Sunday Times (a respected UK paper), the Japan Times and many others. There were regular bulletins on TV and radio, with few journalists treating the story with even a small degree of skepticism. The internet also played a role in the affair, with hundreds of blogposts by writers who knew nothing about the subject. (It put a great many Irish physicists off blogs for life). The Irish Times set the tone for the affair by using the headline ‘Refuting Einstein’ for all articles and letters on the subject, thus framing the debate as plucky Kelly vs establishment Einstein. Professional physicists paid very little attention to the story at first. In the few instances where their opinion was sought, the ‘debate’ was portrayed as one voice against another, not as the overwhelming consensus of 100 years of scientific evidence against one engineer. Most of all, the debate was portrayed as Kelly vs Einstein – I do not recall a single journalist draw attention to the fact that physicists’ belief in relativity stems not from a belief in Einstein, but from the mountain of experimental evidence that supports the theory (a confusion of the context of discovery with the context of justification). Finally, just as the story was beginning to die down, a French physicist cited one of Kelly’s papers and Irish journalists declared Kelly ‘vindicated’. [I read the French paper and the reference was not to Kelly’s theory at all, but to an experiment he suggested]. Not long after all this, Al Kelly sadly passed away. I should stress that he was a very nice man and an accomplished engineer. His papers on the subject were published posthumously as a book, which is available on Amazon. 1. In the eyes of science journalism, ‘Einstein wrong’ constituted a story. None of the journalists I contacted privately expressed any confidence in Kelly’s theory, but they thought it was an ‘interesting story and a good way of raising science awareness’. 3. The reaction of the public was firmly anti-science. The affair dominated the letters page of The Irish Times for months and the general tone of the letters was a distrust of the establishment. All sorts of people jumped to defend the plucky Kelly, while the professionals were accused of ‘believing in relativity like a religion’. As a result, I have become convinced that there is a need a new sort of science journalism – science communicated by scientists, not by journalists. Of course it is difficult to train scientists to write in a manner suitable for public consumption, but I suspect this is less difficult than training journalists to think like scientists. From debates on global warming to alternative medicine, there is an urgent need for scientists to be trained to speak for themselves. The one good thing about the ‘controversy’ above is that it was a neutral debate – neither business nor politics had a stake in the outcome, nor was there a prospect of Joe Citizen paying extra at the pump. This is not the case in areas such as climate science, which makes media coverage of the topic a great deal more complicated. All of the above concerns apply to media coverage of climate change – but in addition, much climate science in the media consists of op-eds by writers whose motivations are complex and whose portrayal of the subject is highly questionable. We’ll look at the communication of climate science in the next post. I just found a copy of my own letter to The Irish Times on the controversy above; my first media publication on science! 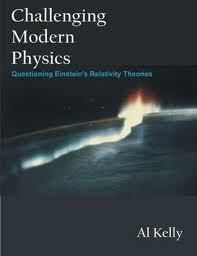 It is co-authored with astrophysicist Lorraine Hanlon, now Head of Physics at UCD. The writer John Farrell, who wrote a very nice biography of Lemaitre, has a good article on relativity cranks on the Salon website here. I take it you heard about Gravity probe B; http://news.discovery.com/space/gravity-probe-b-110506.html . I would imagine you will enjoy that story! Thanks for the link, John. It’s a very nice result and that article is very well written. Notice however that the story is framed as ‘Einstein vindicated’ instead of ‘relativity passes another test’. I think this constant personalizing of science is very misleading. Hello Comac, I just thought you should know that I have the ability to destroy the universe, if you would like a demonstration of this let me know, just keep in mind you will be destroyed too. They spent about 1.5 billion dollars, and 40 years preparation on Gravity probe B. Francis Everitt has spent his whole life trying to get that probe put up into space, and to get the result he wanted. Francis Everitt fudged the result to extract the data he wanted to get from the experiment. The first result in the 2007 data did not show what they were looking for. So they spent 4 years trying to think up way’s to extract the result they wanted. So Francis Everitt can top off his distinguished career with a Nobel prize. Its a flawed result from an unrepeatable experiment, nobody has $1.5 billion to spend on a second one. Cormac, you say in your article above your a scientist. Do you “believe” the result of the Gravity probe B experiment? Do you trust the result without going off and researching if their data is correct? An experimental refutation of GR would be a 100% surefire road to a Nobel. Just like when old earth creationists (“young earth” is a weasel term from Satan to make the verse “the earth will wax old” look wrong or agreement with absurdly old earth agers) refute abiogenesis theories, Big Bang theories, scientific humanism masquerading as science and man-to-molecules evolution? Liberals are biased. And who wants an award from a committee who blessed evil Arafat with their high award, Al Narcissist Gore, and suddenly lobbed one at Obama, for nothing? I agree with crster above. A Nobel prize would more likely be forthcoming for an experiment that showed the limitations of GR. Re ‘fudging the result’, I see no evidence of this whatsoever. The experiment was designed to test a prediction of relativity, not to verify it. What always surprises me about ‘skeptics’ is how certain they are. Experimentalists spend such time checking and rechecking the data before reaching a tentative conclusion – only to have it dismissed by some commentator who is certain they’re wrong. I’m a critic, a skeptic and a crank because i have read all the publications produced by the GPB team from day 1. I have followed the project with great interest for many years because i was genuinely interested in the scientific result. So its with a heavy heart that i say they fudged the result to extract the data they were looking for. I would have been thrilled to see some really interesting scientific data coming back from the project. I would have been very proud if they had admitted that the probe did not preform the way it was expected. No, instead they had a big media fan-fare with all the bells and whistles to announce they proves Einstein was right again. A pure media stunt so Francis Everitt can get his Nobel prize. Mark my words, time will prove SR and GR are works of science fiction by a man who guessed his way to stardom. I never use the word ‘crank’ because it is prejudicial – it presupposes the establishment must be right and the questioner wrong. Re ‘skeptic’, I can never point out often enough that all good scientists are skeptics – they are trained to be, just like detectives. Thirdly, I doubt very much the team announced that the experiment ‘proved Einstein was right’ – no scientist would make such a basic mistake in the philosophy of knowledge. This sounds a lot more like the words of a science journalist, which is the point I’m trying to make in this article. Are you sure careful scientists like Francis Everitt would not make that mistake??? I submit for your consideration the comments made by Dr. Chris Blake of the wiggle Z project as reported in physorg on 19 May. I also am amused by the bombastic comments on the LHC by its director Heuer and his subordinate Tonelli. Given their posture one can certainly forgive a science reporter invoking Einstein in a headline. Great article. I know nothing about physics, but it is interesting how much mainstream media takes the anti-science line. Of course, because it makes a better story, and it saves the journalist from actually putting the work in to understanding complex theories I suppose it’s not all that surprising. John: I see what you mean! I guess this is a shorthand scientists use when dealing with the media but I agree, it’s misleading. I’m not being a crank just for the sake of it. Scientists are human, they are no different to anyone else. They make mistakes, they forget things, many of them crave academic recognition, and most importantly, they do tell lies just like anyone else. So i trained myself to question ALL information, no matter where that information comes from. Again with the C- word, I never use that word. I have no particular confidence in what one individual scientist says, but I think science autocorrects itself pretty quickly in the event of fraud – think of all those young bucks picking over the PRL paper looking to make a name for themselves by finding an inconsistency! Hmmmmmm…….Yes. Think of all those young bucks, thousands of them. Wouldn’t it be career suicide to open your mouth and defy the great Albert Einstein and the soon-to-be Nobel Laureate Francis Everitt. Any young physics student who opened his mouth would be cutting his own throat to stand up against peer review and against hundreds of “sheep” that just fall in line behind Everitt. See Cormac, i do make very valid points. If your honest with yourself, you have to admit i point out many of the flaws that exist in the system. Flaws that continue to allow bad science to end up being published and taken for grant-it. I speak with great confidence only because of the knowledge i have gained in the last 6 years. I speak with confidence only because i have the solution. When you know the solution to a problem, you can see where everyone else is going wrong. I see things with an open mind and with great clarity. But because i acquired my knowledge through unconventional non-academic means, i’m finding it extremely difficult to publish my results. What evidence do you have for this? If by reviews of SR you mean Einstein’s later accounts of its development, I have read widely in the literature on this subject and have never come across any mention of Maric in this context. Nor in my extensive reading of the literature of the proponents of the claim that Maric participated in the 1905 SR paper have I found any citing of Einstein mentioning Maric in his accounts of the development of SR. Had there been any such item in his reviews of SR (and especially if there had been “several”), I suggest that these proponents would have discovered it/them. Do you have any references for your statement above? Three small newspapers pick up a non-story about allegedly crackpot physics. They supposedly make a bad job at reporting it. Meanwhile, with the exception of those three outlets, the totality of the world’s media applies good editorial judgement and totally ignores the story. But no, you are fixated on those three data points. So you jump to the conclusion, which you still maintain more than ten years later, that science journalists should just give up–that all of them, as a profession, are worse than useless. I don’t have the time or the inclination to explain to you in detail why there cannot be a democratic society without a free press — and, yes, that includes professional science journalists who don’t represent the vested interests of the scientific community, however lofty and high-minded those may be. 2) ignoring the fact that words in the English language (like any language) have different meanings in different contexts. It’s especially strident to read a reprimand on terminological accuracy coming from a physicist. 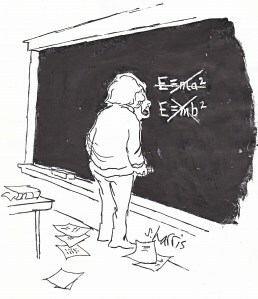 To any mathematician’s ears, the way physicists use mathematical terms sounds like fingernails scratching a blackboard. Don’t take my word for this: I am just a journalist and therefore an idiot. Ask a mathematician. For god’s sake, physicsists can’t even get the definition of a vector straight? It’s not that physicists are wrong, however: they just use the same word with a different (if more vaguely defined) meaning. So do science journalists — or good ones anyway, of which there are many. Your post was a misguided, boneheaded, insolent pontification on journalism, a profession with which you don’t seem to have much familiarity. Just one curiosity: Were you suprised that Science didn’t published your letter? Right. Once again, one data point (Science was wrong on one occasion) proves your grand theory that all journalists are idiots. By the way, I missspoke when I said that your example was based on 3 data points. You have 3 small newspapers that covered the supposed crackpot paper, and hundreds of publications that cover science on a regular basis (or that are specialized in covering science) that did _not_ cover it. It seems that you are mixing up your noise with your signal: What your data showed, actually, was a null result. “I began with a reference to creationists. Could these attacks on Einstein be related to the Christian right’s opposition to Darwin? A cursory search through creationist Web sites shows that a few actually embrace relativity as a tool in their speculations about the true age of the universe. And this is begging the question: what is the point other than an implied weasel attack against creationists? Why not just say, “Nanny nanny it’s creationist stuff.” ? Oh, because then it wouldn’t be so obvious it was an attack, and would clearly be immature. Again, begging the question: so what? IF. And again: who cares except confused ignorant people who wrongly think that is something is ancient or that a “Christian father” believed it that therefore it must be true? Does this writer know that Augustine was a two-faced panderer and master con? : https://eternian.wordpress.com/tag/st-augustine-was-a-hypocrite They can’t be taken as indicative because older doesn’t maker righter or the bestiestiest answer against those fundie creatshinist peoples LGBT haters. Bye conniving liberals. Stick with physics you liberals, you didn’t train in religion did you? You aren’t teachers or religion are you? So why do you keep pretending you’re experts at that because you know some physics? Does that make any sense? NO: PHYSICS IS NOT PHILOSOPHY. PHYSICS IS NOT THE STUDY OF GOD OR THE WORD OF GOD. And mainstream physics focuses on proving Relativity, the Big Bang, a ridiculously old universe, abiogenesis, and man-to-molecules evolution, and the ideology that all of those disprove the Bible or show it is not fully accurate or that the traditional teachings about it cannot be trusted, which the Salon hypocrite conveniently failed to mention. How hypocritical. Did John Farrell the liberal mention that Relativity is often used by liberals and Mainstreamers to support the ideology of Darwinian evolution and atheism while pointing out that creationists often reject Christians “(juz cuz dey iz creashunists n datz why dey rejecteded it tsk tsk snark snark, cuz dem crashanists iz dumb to balave in creashuns”, yes, that conniving snake and hypocrite did. Re SR, do you have an answer to Professor Herbert Dingle’s question in “Science at the Cross Roads” [Martin Brian & O’Keefe, 1972]? I have studied quite a lot of alternative material on Electrical Engineering, in which I hold a Masters degree from the University of Twente. So, I am convinced I managed to disprove Einstein’s relativity theory and uncovered the root of the error in it. 1. Antonov A.A. 2013. Physical Reality of Complex Numbers. International Journal of Management, IT and Engineering. 3(4), 219 – 230. 2. Antonov А.А. 2013. Refutation of the special theory of relativity. International Journal of Physical and Social Sciences. 3(5), 192 – 210.